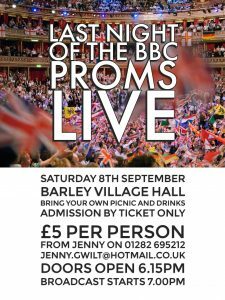 Come celebrate Last Night of the Proms with us at Barley Village Hall! Ticket admission only, maximum 70 tickets! £5 per ticket, bring your own drink and picnic! Doors open from 18:15 and broadcast starts at 19:00!